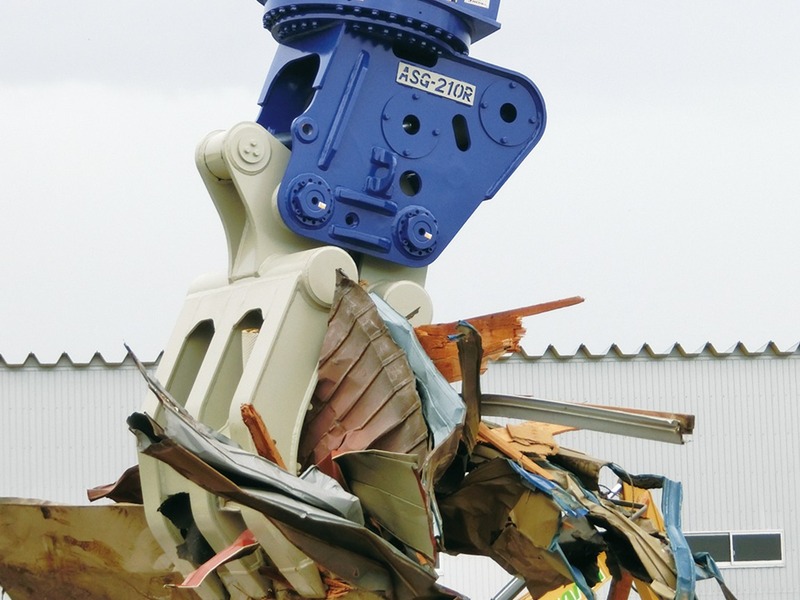 ASG grapple’s uses are demolition of wooden structure, scrap handling, loading, sorting and other applications. A powerful hydraulic motor allows easy rotation long, heavy objects. The robust rotator features a durable bearing.